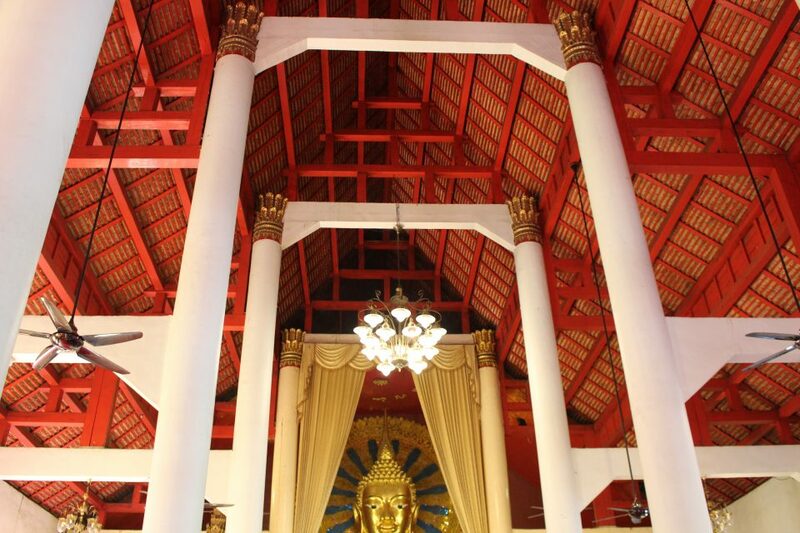 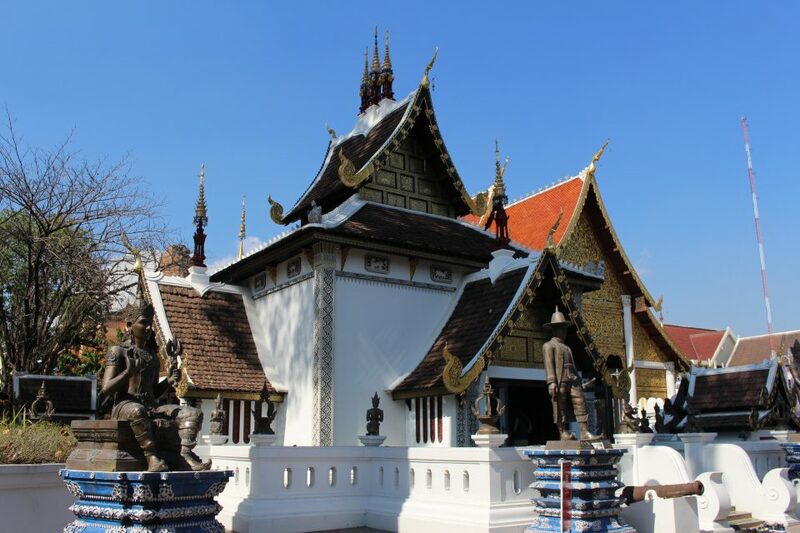 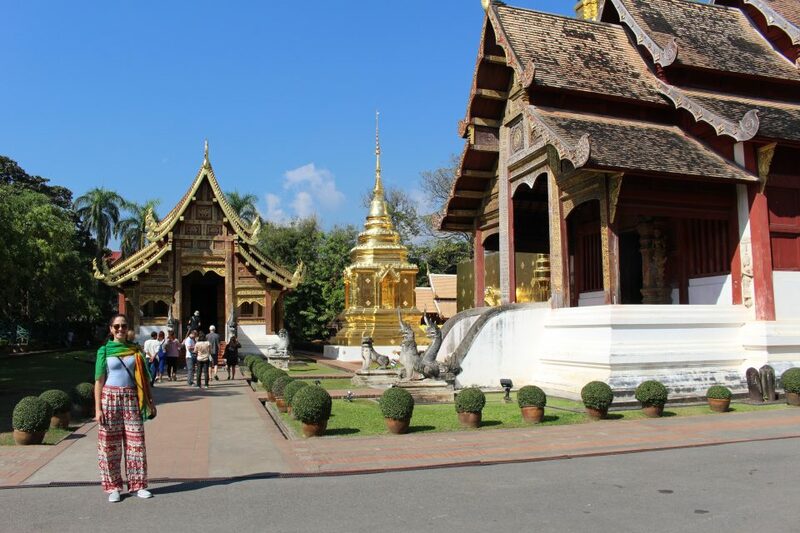 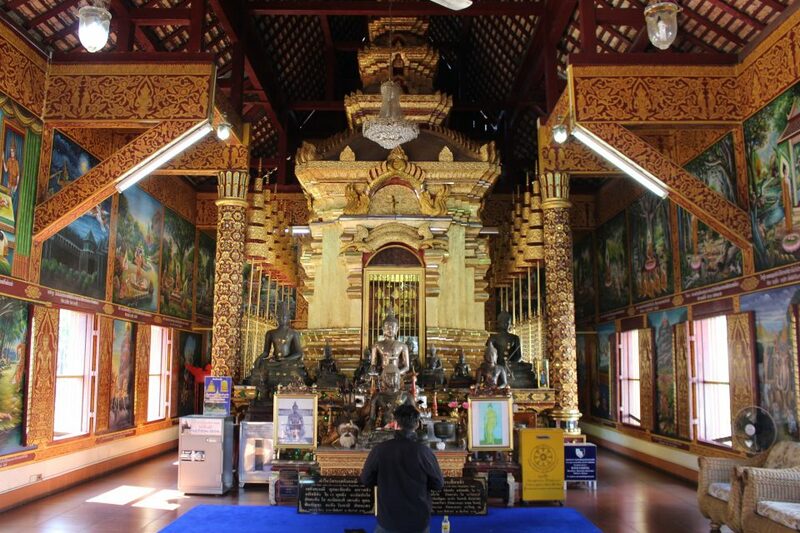 Chiang Mai has a surprising number of Buddhist temples nestled close together inside the city walls. 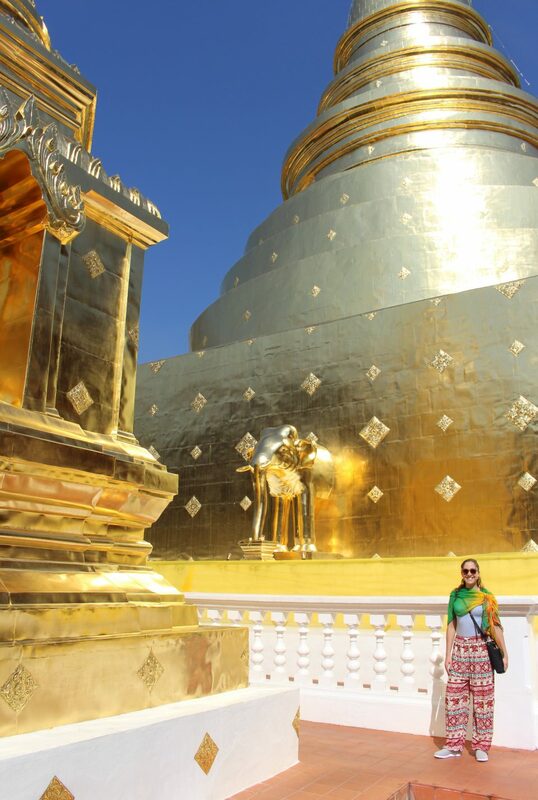 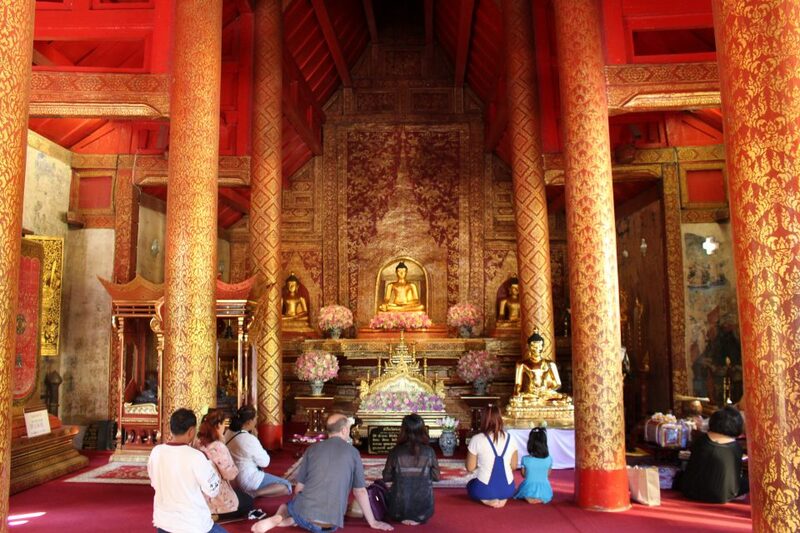 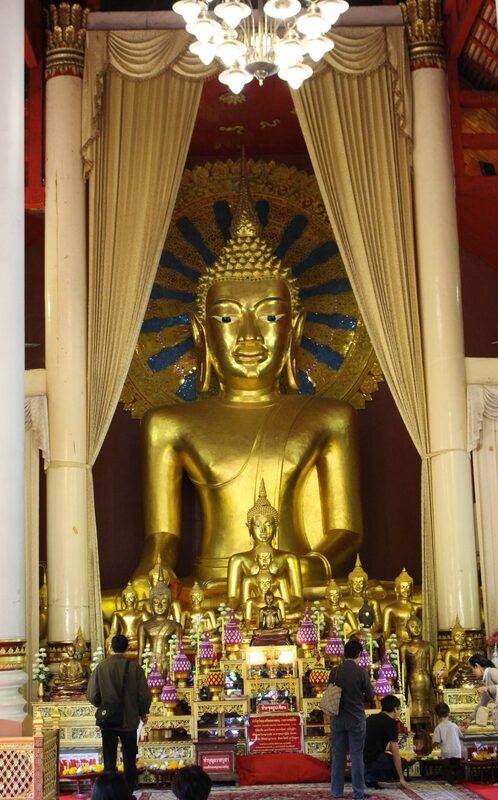 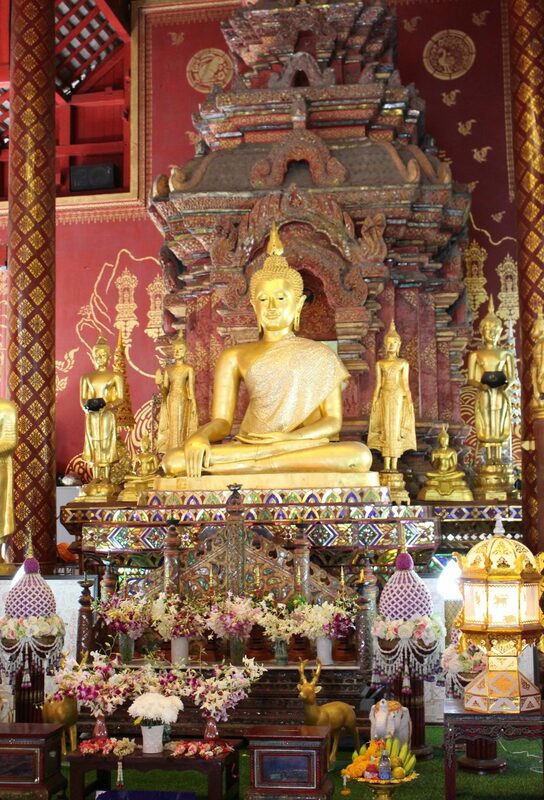 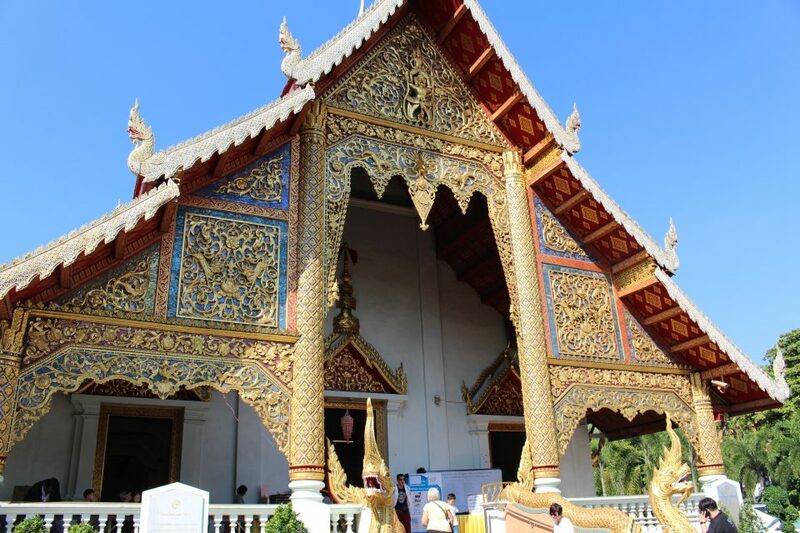 Our first stop on a tour of these was the most prominent temple: Wat Phra Singh. 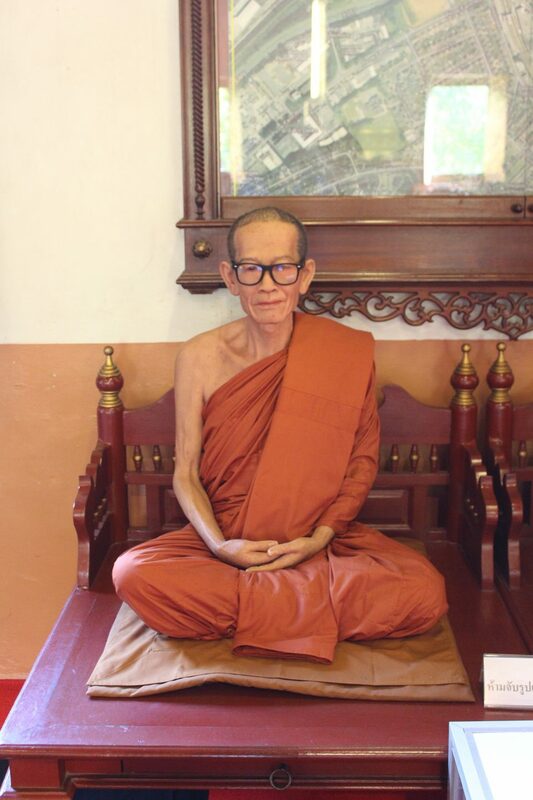 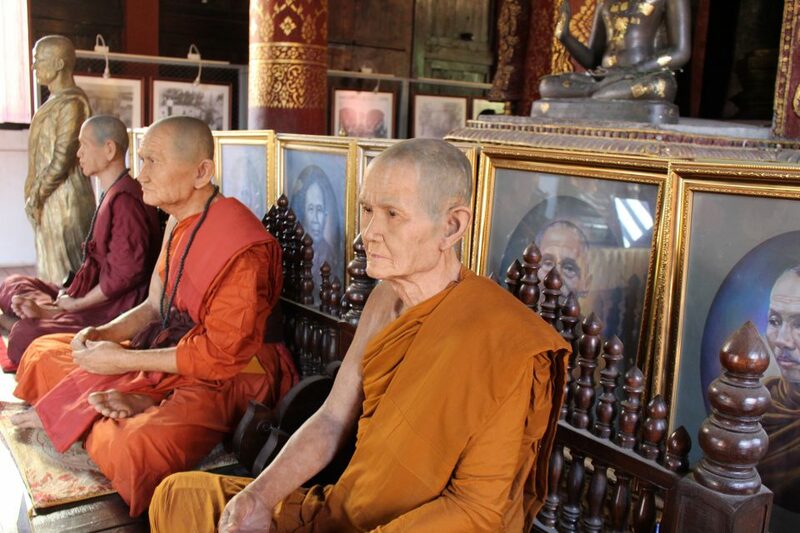 There were several of these monk wax figures, which we thought were real people for a long time. 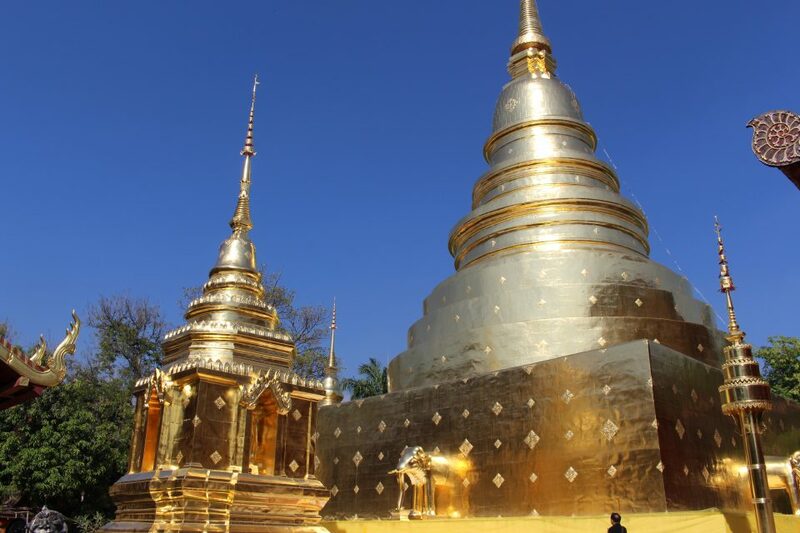 Look at all the gold! 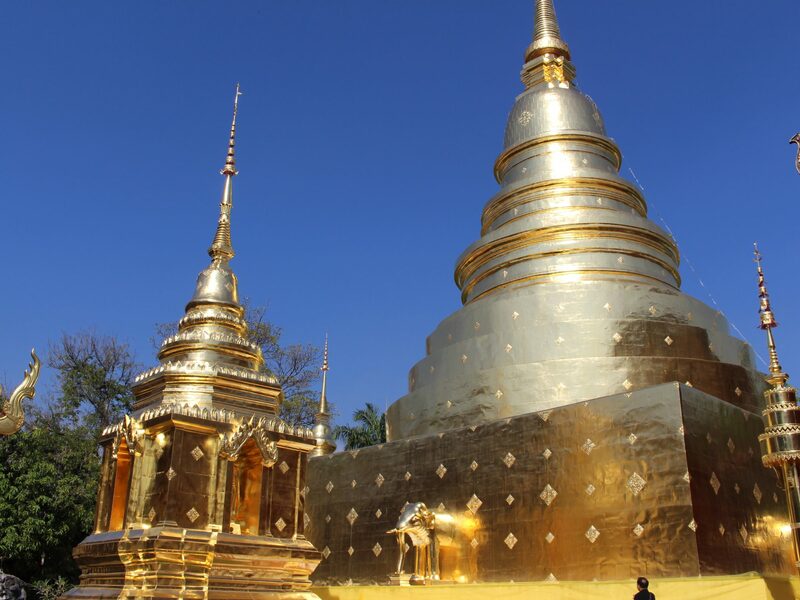 Next, we went to Wat Chedi Luang. 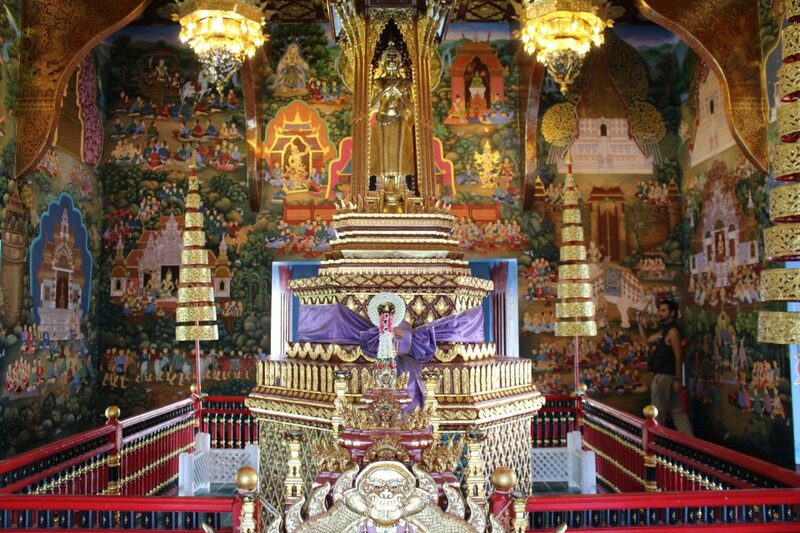 Below is a section of the temple that is only accessible to men (sorry ladies). 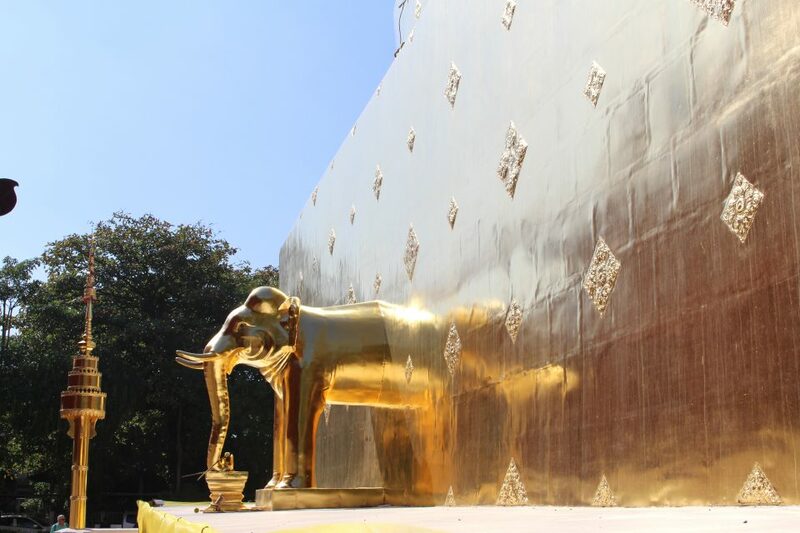 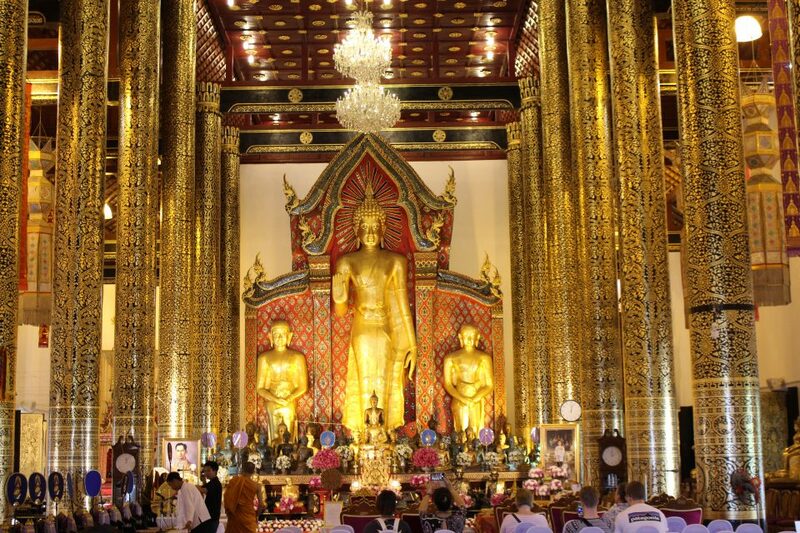 In the main temple, you can certainly find more gold. 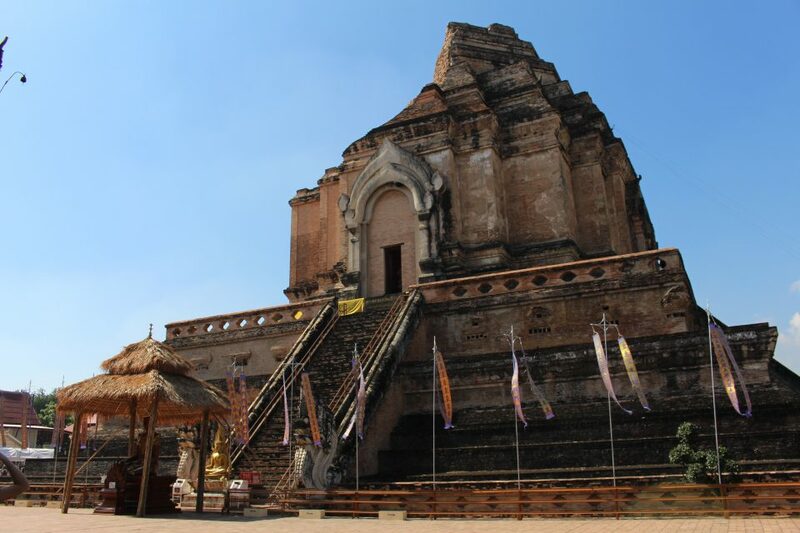 And, of course, the namesake chedi. 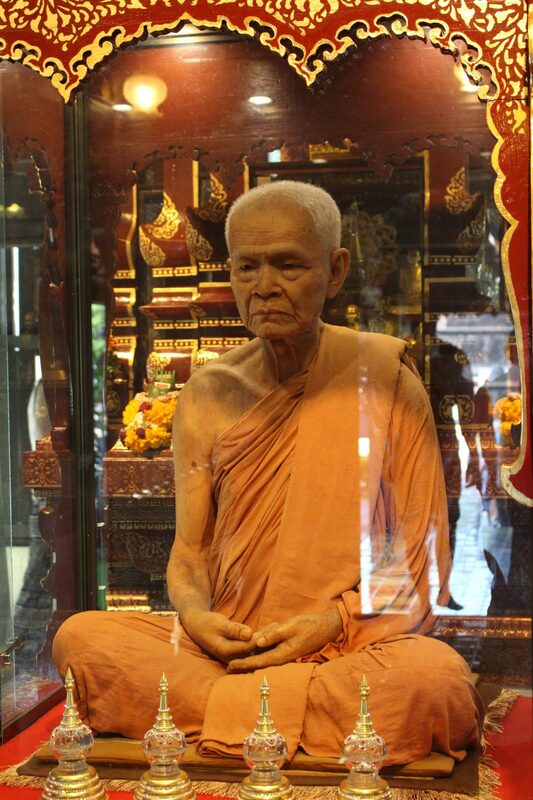 Hey, monk encased in glass! 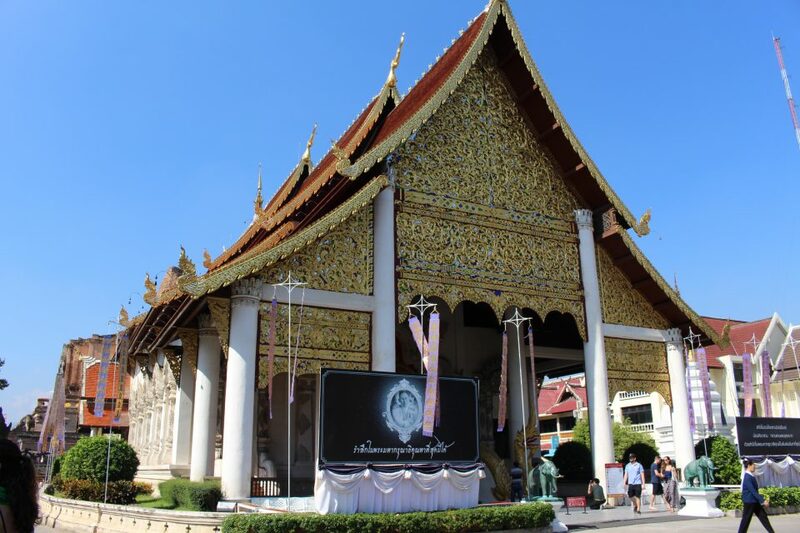 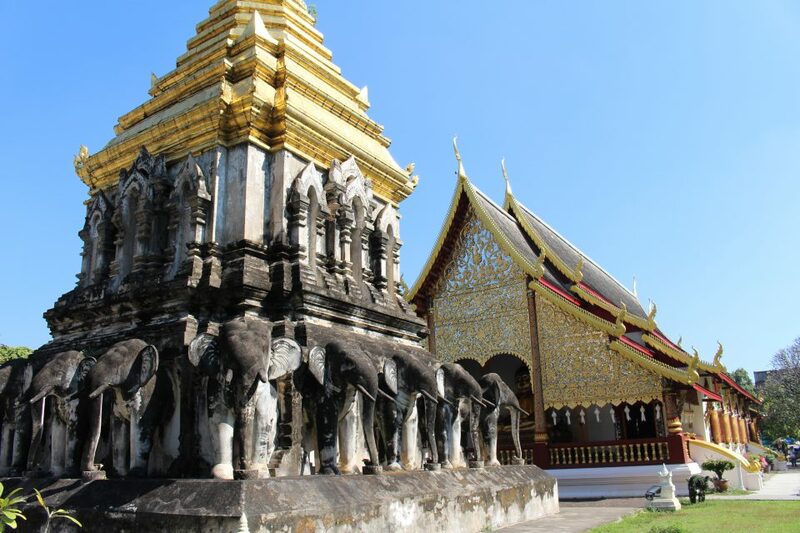 Last, Wat Chiang Man is the oldest temple in Chiang Mai, built in 1297. 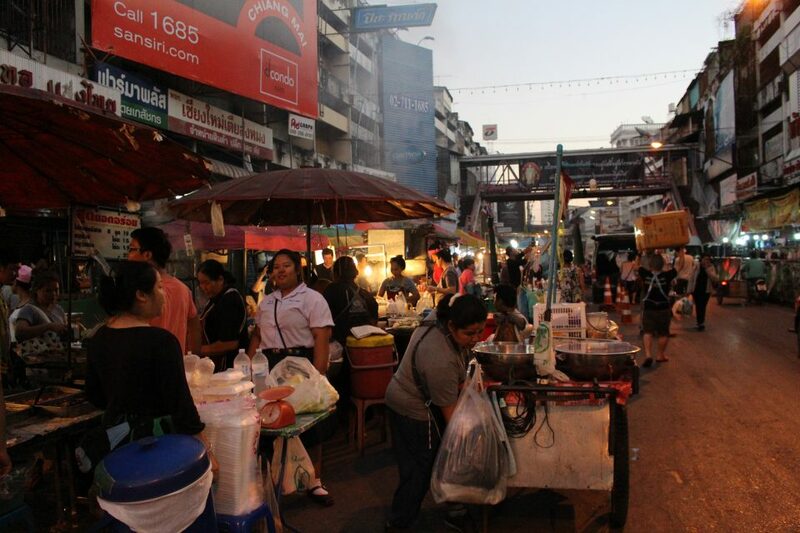 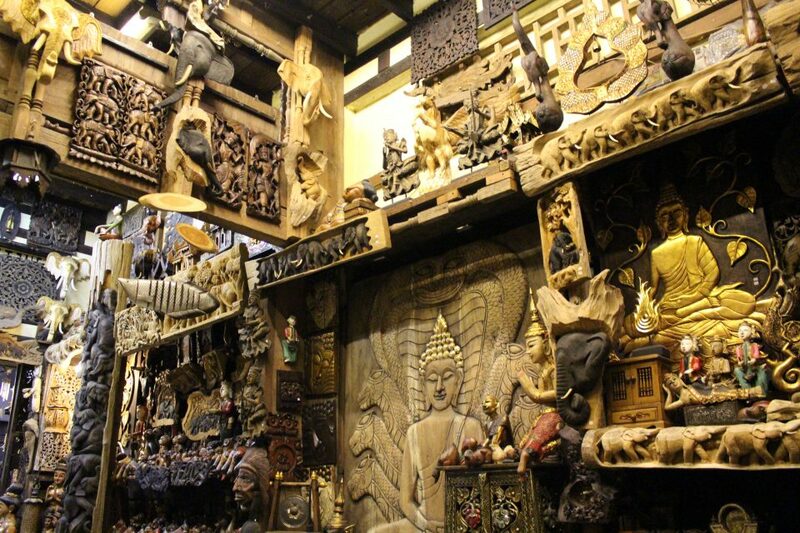 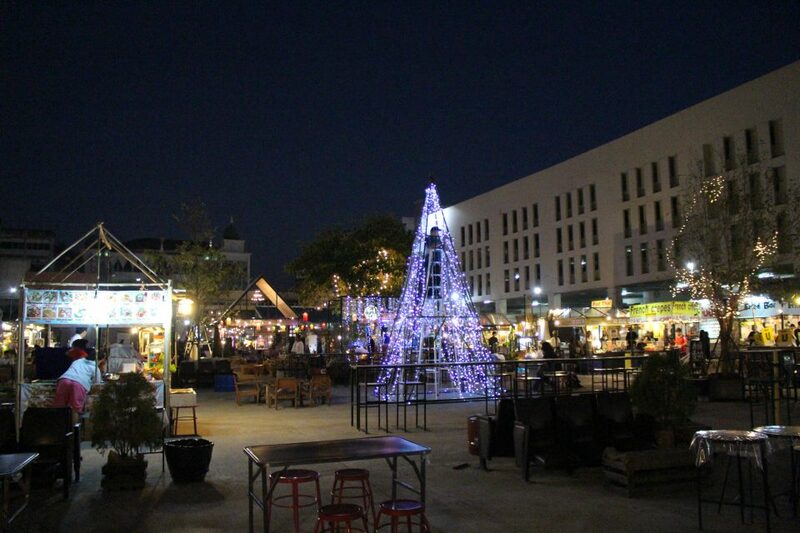 Later, we visited some of the famous night markets of Chiang Mai, including the “night bazaar”. 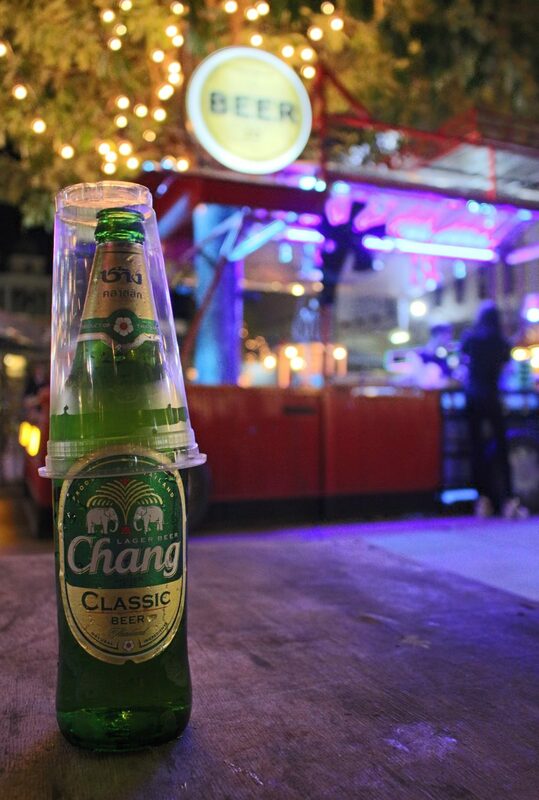 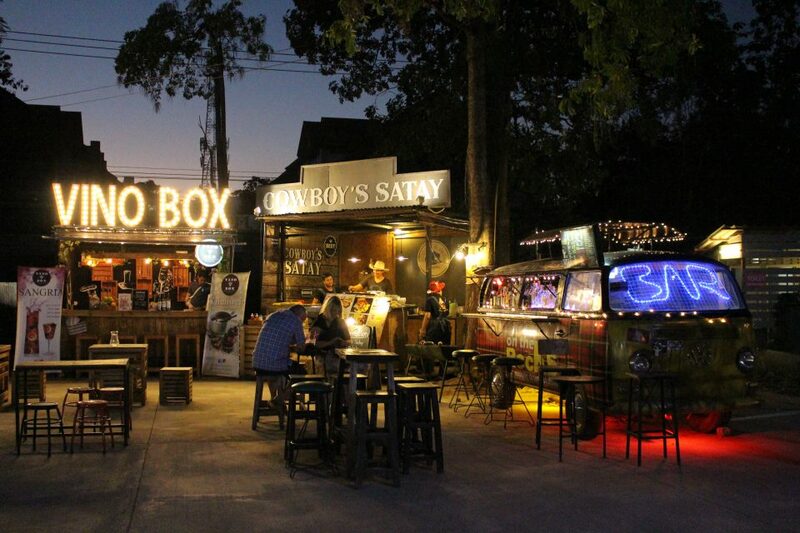 We arrived at a very hipster area between markets, where we listened to live music and had a nightcap (or two) 😀🍻. 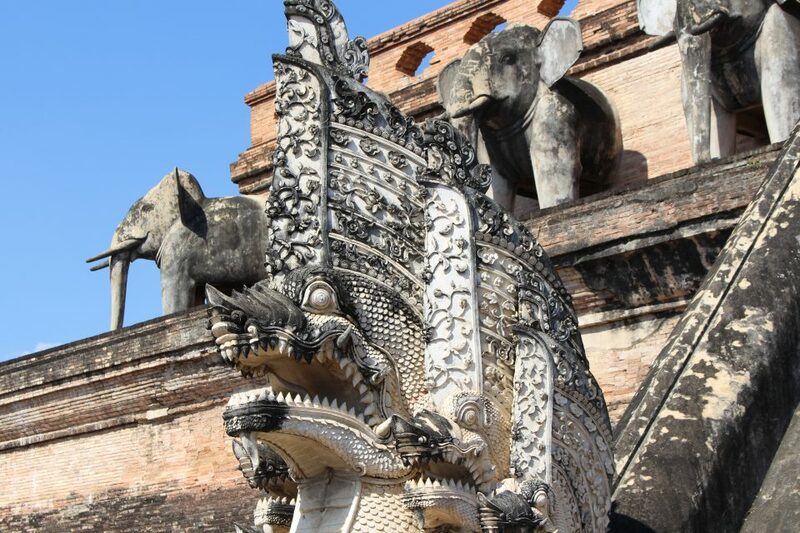 It is incredible the grade of preservation of these temples. 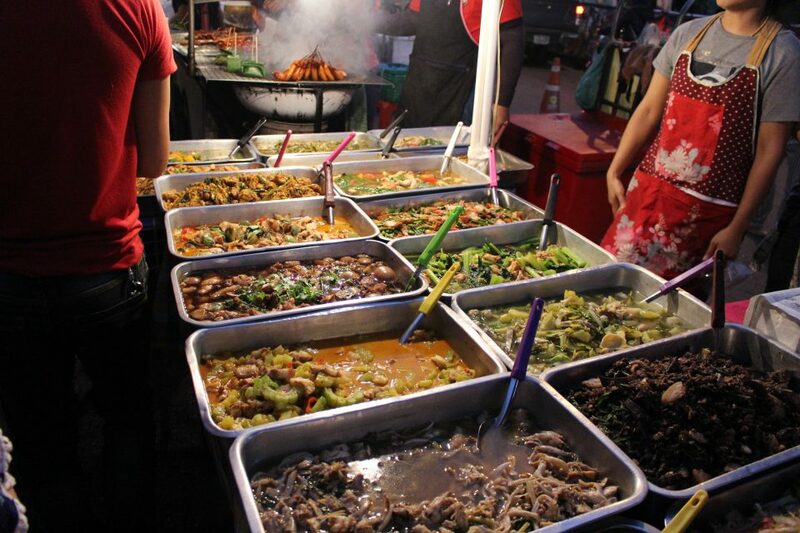 Also, I like when you take pictures of the food and places to eat you go.